Website Trends: Retina Ready. Are You? If the answers is “No,” or “What is retina ready?” We should talk. At very least, you should read on. Retina displays are essentially high definition (HD) on tablets, mobile phones and newer monitors. This means your less than one year old site, looks fuzzy and distorted to a good portion of your visitors. Browsers handle the increased resolution no problem. If your awesome one or two year old site isn’t retina ready, it will look fuzzy or distorted. Not sure what that means? Zoom in and look at your site at 200%. How’s it look, is it pixelated? 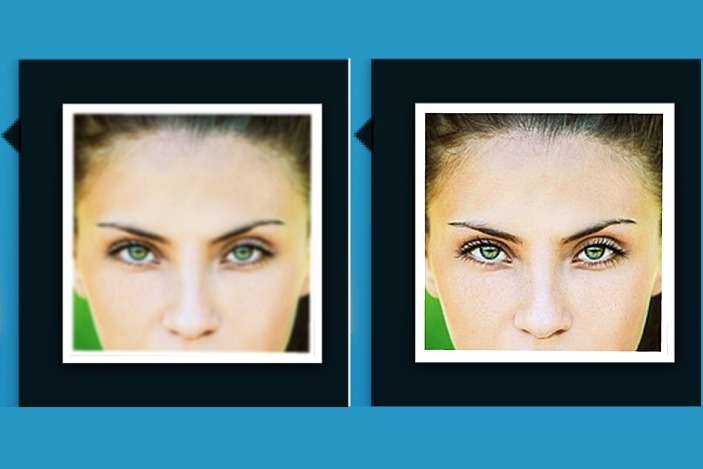 This is the difference between retina ready and non-retina ready images. If your site is more than two years old, more than likely: it’s not retina ready. You have a few options. Personally, I think the best option is to call or e-mail Howe Innovative Design at 360-339-5741 or answers@howeinnovative.com to get a sweet deal on a new or updated site. -Recode your existing site, which will include reformatting many of your online images in larger resolutions. Simply double your resolution for images in pixels or dpi. -Opt for a new retina ready theme/ template or design for your page. Technology moves so quickly but you don’t have to be left behind. The best aspect of the web: cunning entrepreneurs are constantly developing software, applications, plug-ins and modules that can streamline your business operations and website functionality for little cost. Yes, it’s intimidating, spending more time and money on your website. It can be hard to find competent yet affordable web professionals (did I mention Howe Innovative Design?). * In reality: if you aren’t leveraging the power of the web, finding solutions to problems businesses and individuals the world over are having, you’re missing opportunities. Your website should be a reflection of you. Crisp, clear and on pitch, in harmony with your business practices and culture. Fuzzy, outdated images and text can easily undermine otherwise great sites. Put yourself on the forefront. Now is the awkward transitional phase. In the next year, retinal display will be the norm. You can be ready today.